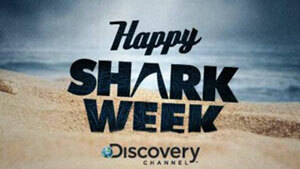 Every summer The Discovery Channel rolls out the longest running cable television event in history called Shark Week. For 26 years, this week long series of special programming has been entertaining and educating millions people in 72 countries around the world. For Discovery it’s a “cash cow” … our should we say a “cash shark” for the network as it reaches a new audience that advertisers love to line up to pay to reach. It’s a fascinating study for church leaders looking at impacting the culture around us. Summer is a Great Time to Reach People // Summer can be a time when we are tempted to “throttle back” in our efforts to reach our community. Discovery has carved out a niche in the summer time and shown that people are willing to come in doors and watch TV. Originally this started because traditional broadcasters went into “re-run mode” in the summer time and Discovery wanted to take advantage of that opportunity with fresh new programming. What could we do in our churches in the summer to reach people who do have a bit more time on their hands in the Summer than during the rest of the year? It’s a Strategy to Reach Guys // Shark Week reaches a “broader balanced demographic” than the rest of the year … that’s television ad sales speak for “more guys watch this than our other stuff.” [ref] In fact the average age of it’s male viewers drops to 31! For Discovery this is important because it allows them to tap into different advertisers than they normally do … think Beer Companies and Car companies … advertisers with new pockets of cash to spend. This is important to note because many of our churches are looking for ways to re-engage the men in our communities. We’re trying to figure out how to reach the guys in our community that seem to be more checked out of faith than the women. How could we develop some special programming that specifically targets the men in our community? 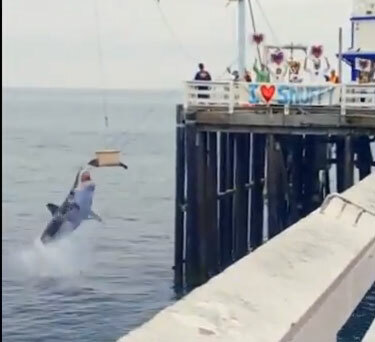 Content + Social Media // To build momentum for Shark Week this year, Discovery released a perfect “fake news clip” about a fictitious harbor seal. [If you haven’t seen the “Snuffy the Seal” spot you have to stop here and see it … it’s 30 seconds long and will put a smile on your face.] But it didn’t stop with just this one ad … Discovery poured on supporting content, web only videos, twitter streams, fake protests at comicon, micro video releases, t-shirt giveways for fans, more fake news stories with real reporters, and the list goes on. Content is fire … social media is gas. Discovery is executing an amazing campaign of content designed to be easily spread from friend to friend. The initial numbers are encouraging for Discovery … over 3million tweets on opening night of Shark Week and viewership numbers broke all records from the previous 26 years. Don’t miss what’s happening here … a “traditional broadcaster” that does over $500 million dollars in advertising revenue every year is using free social media tools (that your church could use) to drive viewership for it’s most important week of the year. How could we develop content to preview our up coming series that is designed to spread and use social media to get our people to pass it around? “Big Days” Work // Discovery provides great content 52 weeks a year … they work hard to ensure that their messaging is on target all the time. They have long running shows like Mythbusters, Monster Garage and Dirty Jobs that sustains the channel throughout the year. However, they also use this strategy of “special programming” to change up the channel and get their audience’s attention. They know they sometimes people want “new” as well as “dependable and familiar”. We are faced with the same challenge in our churches … to provide great services every Sunday but then we should take time out during the year to do something special and different to engage our community again. What “big days” could you plan for in the coming ministry season that would be “special” and “different” to encourage your people to invite friends? Are you a Shark Week fan and a church leader? What lessons are you learning from what Discovery is doing through this week?